We’re deep enough into the college hoops season that we can begin to see if the more surprising teams are for real or have just been a flash in the pan. 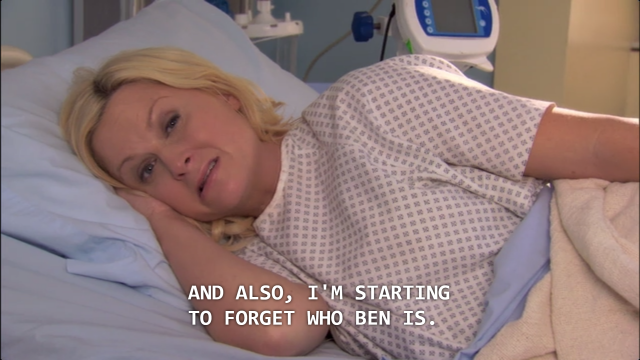 Conveniently enough, another season starts tonight: the final season of Parks and Recreation. 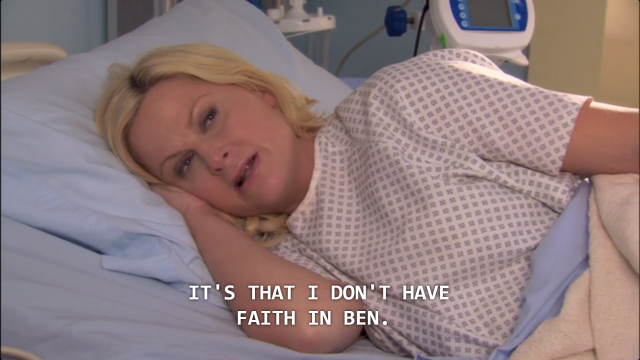 Consistently one of the funniest and best television shows of the last decade, Parks is no stranger to hoops. Guest spots by Detlef Schrempf, Roy Hibbert, and Chris Bosh, plus constant nods to Bobby Knight, have made sure Pawnee always represents Indiana’s basketball love. So let’s mesh the two. College basketball’s early shockers, as expressed by the quotes, GIFs, and clips of Parks and Rec. The Longhorns have been a surprise for all the wrong reasons. They started the season ranked in the top 10, but have lost 3 of 5 (including a whupping from rival Oklahoma) and fallen to #20 in this week’s poll. They are among the most talented teams in America, but there’s a problem. It’s not that I don’t trust Rick Barnes. It’s that I don’t have faith in Rick Barnes. And also, I tend to forget that he exists. Barnes is notorious for his underachieving teams and disappointing finishes, which has to be tough for Longhorn fans to swallow. You can count the number of schools who make and spend more money on athletics on Gerald Green’s right hand. Finding a decent coach at a program like that should be a no-brainer. Instead, they have been stuck with Rick Barnes, who may have no brain. If Barnes can be competent, this Texas team is dangerous. If he is his usual self, we won’t be seeing burnt orange in the second weekend of March Madness. The NJIT Highlanders must be taking the Ron Swanson Pyramid of Greatness seriously this season. They are Division I’s only independent, which should have meant that they have no chance to qualify for the NCAA tournament, but don’t tell them that. Conference? Friends? Not for NJIT. They will take what’s theirs. Joe Lunardi spent some time tweeting about the possibility of the Highlanders making the dance the other day. “@ckjackson5: @NJIT beating Yale! These guys deserve an #NCAA at-large bid. #marchmadness @ESPNLunardi #bracketology” Would be so cool. Granted, it would be fun, but it’s not going to happen. Despite their wins over Michigan, Yale, and Duquesne, NJIT’s schedule is far too weak for an at-large bid and they’ve racked up some nasty losses. They won’t be dancing, but can someone please invite them to their conference? America East? Colonial? MAAC? Northeast? One of you has room for a team who beat Michigan on the road and led Villanova at the half. The Seton Hall Pirates are not wearing the same costume as last year. Or the year before. Or for quite a while. In fact, Seton Hall hasn’t played in the tourney since 2006. Kevin Willard has this team running differently. They are 13-3 and all 3 losses came against teams in the KenPom top 35. They’ve beaten Big East favorites Villanova and St. John’s. The Hall is back! Turtle Flu is real and the Big Ten is infected! The Terps were unranked in the preseason but have risen to #11 in the latest Coaches Poll, as they’ve gone 15-2 thus far. Road wins in the Big Ten don’t come easily and Maryland already has two. Maryland will also add European power forward, and 1980’s movie villain name, Ivan Bender to their roster immediately. A strong start to the season and reinforcements on the way. The Irish have been surprisingly good thus far, pleasing their honorary alumni Lil Sebastian. Jerian Grant has been a beast offensively and the role players around him have picked their spots and performed at a high level. People didn’t expect Notre Dame to be among the ACC’s elite (Duke, UVA, and UNC), but it looks like they will be in the mix. They beat UNC at the Dean Dome and should be a factor at the top of the league all year. Shane McNichol is the founder, editor, and writer of PalestraBack.com. Follow him on Twitter @OnTheShaneTrain.